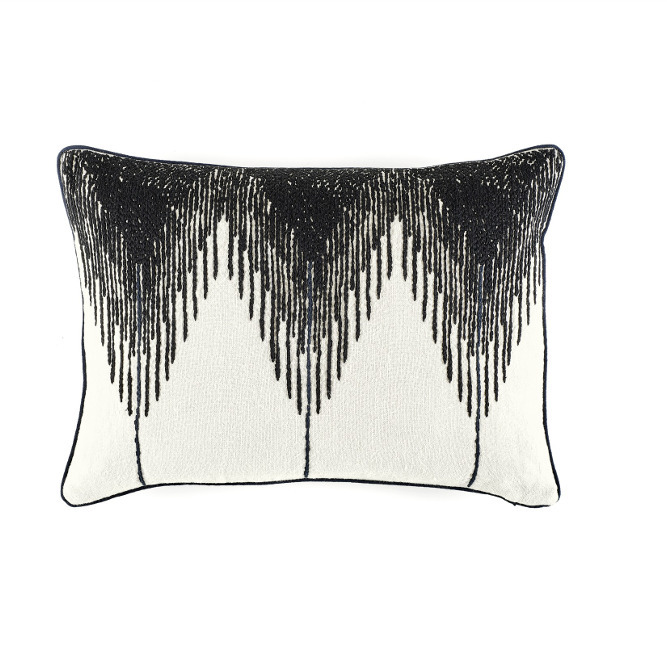 An Elitis stone washed linen cushion, with contrast black pattern effect. Supplied with a washed cotton sheer lining, concealed zipper and feather & polyester pad. One of our favourite cushion designs. Simply exquisite black and white detailing from the Parisian design house Elitis. Introducing the Elitis Josephine cushion. Simply stunning in every way.